Wolchok earned international recognition for his critical role in the clinical development of ipilimumab, an antibody that undermines immune "checkpoints" to allow more robust activation of T cell responses to growing cancers. He served as the principal investigator for the pivotal phase III trial comparing ipilimumab and dacarbazine versus dacarbazine alone for meta- static melanoma that formed the basis for the approval of ipilimumab (Yervoy) by the FDA. Conduct of the trial necessitated changes in the way in which patients with metastatic melanoma were monitored for treatment efficacy versus treatment failure; the antitumor response criteria historically used for cytotoxic chemotherapy drugs proved inadequate for immunotherapy. The trial design and results were described in what has become a landmark paper in The New England Journal of Medicine. He has continued his work to improve anticancer immunotherapy, undertaking a trial of ipilimumab given along with nivolumab, an immune checkpoint inhibitor with a different target. Early trial results hint that this combination may be even more effective than ipilimumab alone, leading to a global phase III trial to be directed by Wolchok. 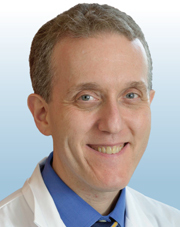 To extend immunotherapy beyond melanoma, Wolchok organized the immunotherapeutics program at Memorial Sloan Kettering, which carries out all of the phase I trials of immunotherapy at the cancer center in order to enhance efforts to test new immunotherapies and expand testing on various tumor types.